On September 3rd I was invited to take part in a Nike+ Campus Run Club event, leading a group of runners on a special art-of-running course I’d designed for a 5km run that could be done within Yoyogi Park. This was the first in a series of ‘Summer College’ events for the run club members, and as such, saw me not only lead the runners along the route I’d planned, but also simultaneously teach them English! Whilst multitasking is something I’m quite used to doing, I must admit this was pretty challenging! The event was a big success, from the moment I suddenly appeared – LEDs glowing – from behind amongst the trees at the Yoyogi Park entrance, to the cool down at Nike’s flagship store in Harajuku. Halfway through the run we’d stopped at the Yopyogi outdoor stage, where I taught the group the game of British Bulldog, something we’d always played when I was at school. 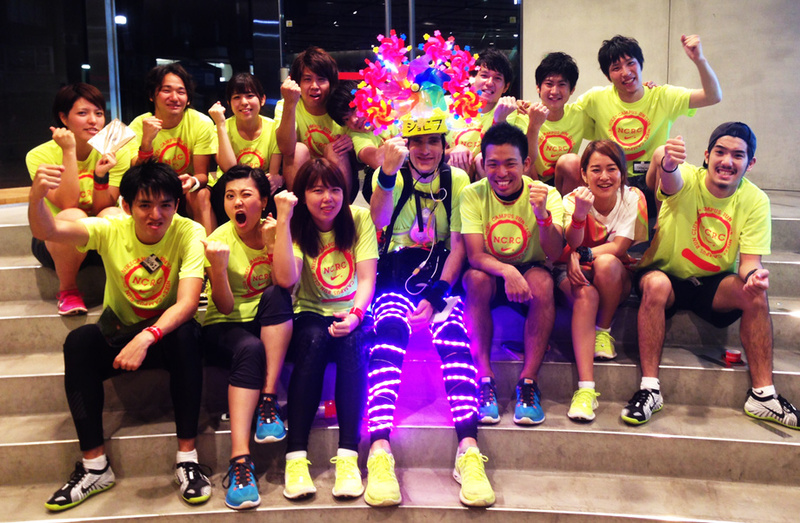 Read the full report on the Run Club website here (Japanese only).